It’s something that most of us don’t really think about when it comes to mezcal because we are so focused on the magic being made in the still, but with every liter of mezcal produced there are about ten liters of liquid waste produced. That’s called the vinaza. In small production runs, it is seemingly manageable to dispose of. You can pour it in the river or the field and it will break down in weeks. If you add chemicals that process can be shortened to days. But as soon as you multiply production runs, suddenly it is a whole different proposition. 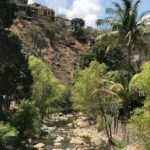 This became clearer to me when I was out in San Luis del Rio and San Juan del Rio where dozens of palenques line the river running through the towns. In best case situations, there are capture tanks that will enable the vinaza to break down, but more likely it is just released into the ground or back into the river. The vinaza is toxic and reduces oxygen levels in the river, killing off life, and of course contaminating the water that people are reliant on for use. Jalisco has experienced serious environment issues stemming from vinaza in both contaminated rivers and of course water tables. Tested wells in Matatlan have seen increasing levels of contamination stemming from a compromised water table. 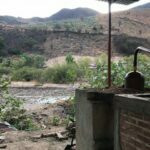 Increased demand for mezcal has put further pressures on water sources, both for input into the process but more dire in output. So, how to handle this looming environmental disaster? Little did I know that just days before my March trip, there was a meeting of almost 140 mezcal producers in Matatlan to discuss this very issue, centered around a presentation and talk by the Sombra team. Betts has been a huge proponent in the industry when it comes to sustainability issues. They first addressed changes Sombra was implementing in its new palenque to reduce its use of wood in the process, and wrote about that in this post on Medium. For his next project, he tackled the vinaza issue by experimenting with an adobe brick building project using the bagasso and vinaza. In the March meeting with the mezcaleros from Matatlan, he talked about the results. With his usual open style, he wrote about the experiment and results in an article posted again on Medium. I reached out to Betts as soon as I returned from Oaxaca to talk about the vinaza issue and more. It was a long and meandering conversation, and completely and utterly engaging. As a foreigner, and certainly as a foreign business entity, it is not easy to break into a local community, as many brands have learned over the years. There is an expectation in small towns in Oaxaca that people who have more means than others contribute back. This is not formalized through foundations, but rather through informal manners that can be as simple as you being the one to pay for the town posada or supplying mezcal or food for a municipal party. As the mezcal business has boomed, how people give back has morphed, though oftentimes it can feel like baptism through fire in finding what is most effective, or even appreciated. As the industry continued to grow, Betts became more aware of the environmental impact. He had some experience in this coming from both the wine and tequila sectors, and saw the mounting problems happening both on the input and output sides. When planning began to build out the new Sombra palenque, at top of mind was how they could operate more sustainably and not compromise the flavor of mezcal. In addition to implementing a mechanized tahona for animal welfare reasons, they also looked at the use of wood and how to lessen its use to help with deforestation issues in the timber industry and to lessen the amount of pollutants it was putting in the air. It was a bold proposition, though when Betts published his plans in that highly transparent post on Medium, support grew and others in the industry have begun following suit. He could have stopped there, but for Betts, there has always been an underlying problem of “the general dogma around selling mezcal.” As he further explained, “I see dogma rearing it’s head when producers talk blindly about ‘tradition’ and ‘authenticity’ and doing things the way they always have as if that’s the best way to do so. In fact, this is dogma doing harm. We need to use the data to question everything and understand how we can do better than it was done in years past.” As he saw it, many of the industry’s early attempts were misguided because they didn’t address the real issue for the industry – the impact of production output, or specifically that “that increasing bagasso and vinaza issue.” For him, that data is in the simple math equation of the industry, stated simply, for every liter of mezcal produced, you get approximately ten liters of vinaza and 12 kilograms of bagasso. In their first attempt to deal with the vinaza, Betts explained “we built holding tanks with an eight inch lining of cement, but the vinaza ate through them in just three months.” So then he started really looking at what else could be done with the waste. Ideas included converting it into a biofuel, but studies have shown that emissions are actually not as environmentally sound as initially thought (an example of dogma vs data.) The tequila industry has shown that using the bagasso as compost is fully viable, but then you still have the water to contend with. He finally arrived at the idea of making adobe from both the bagasso and vinaza. During our conversation, Betts mentioned that he started off as an environmental attorney, “though a failed one.” He walked away from that career, and ventured first into wine, then mezcal and then finally into tequila. He is a prolific writer, and has managed to make both the wine and spirits category feel more accessible to those intimidated by flavor wheels and vocabulary. And he has filtered it through the eyes of someone keenly interested in environmental issues. He is also able to speak candidly about ideas that have failed, and learning from those failures and moving forward. It is refreshing to say the least. There is a move afoot in Matatlan, the town that bills itself as the world capital of mezcal, to be the first zero emissions mezcal community in Mexico. 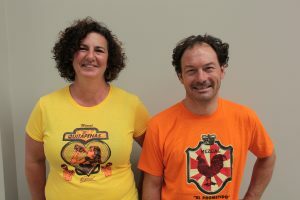 Sombra and Betts were invited to present to the mezcal makers about the vinaza project. The response was overwhelmingly positive with about 108 out of 120 producers present wanting to be part of an expansion of the product. I saw it first hand when I stopped in at the Los Javis palenque a few days after the meeting — Javier Mateo was absolutely on fire about the ideas he had heard and couldn’t wait to get going on the project. This was the scary image running through my head. When I first got wind of the adobe brick building plans last summer, my inner skeptic had tons of questions– how would they render any methanol fumes neutral? Wouldn’t that be locked in the bricks? How stable would the bricks be in an area so earthquake prone? How many bricks could really be built to make an impactful program? 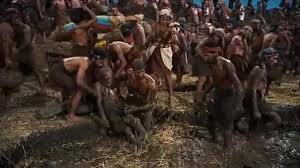 All the while, the image that played constantly in my mind when I thought about this was the scene from The Ten Commandments of the slaves making bricks and the old man who was saved by Charlton Heston. Bad, I know. But then I talked to friends who have been involved in straw bale house building projects and boy were they excited about the possibilities of this kind of a major undertaking. So how are the bricks made? Per Betts. “The thinking originated with my upbringing in the desert southwest of the U.S. and Sonora Mexico where adobe was, and remains, an important building material. Typically adobe bricks are made of dirt, water and hay. We have chosen to use local dirt, replace to the water with vinaza and the hay with bagasso in order to make the same bricks. It’s working.” But the major result? “The huge win is getting other people involved in this because that is where the real impact is made,” said Betts. And my concern about residue or fumes, from the vinaza? “That is extinguished during the adobe making and drying process.” The first house they built in Ayutla in the Mixe region of Oaxaca, designed and built by Alejandro Montes of COAA, used a rammed earth method, in this case the rammed earth being made of the vinaza and bagasso material. 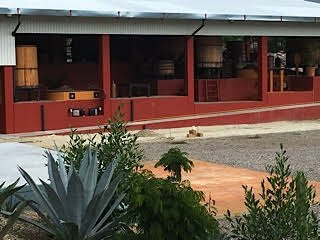 It utilized 12,000 liters of vinaza (from 1,200 liters of mezcal) and four cubic meters of bagasso. Betts was very clear in saying the involvement of Montes really helped the project take off, and their work together made the project what it is today. 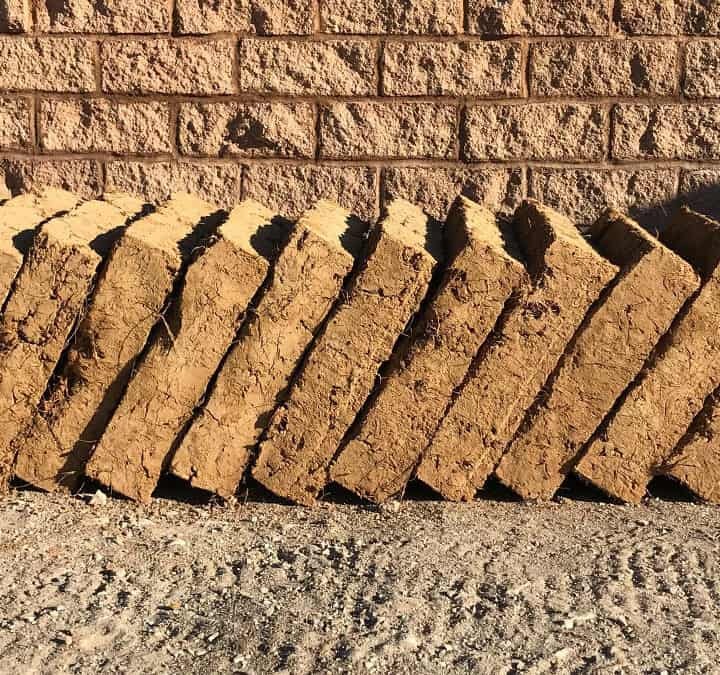 The next house will be built entirely from adobe bricks constructed with vinaza and bigazo in order to see which of the two methods is the most effective. He is incredibly excited by the possibilities, and “that there is a great deal of interest from the local municipal governments to use these products going forward.” This is especially important in the areas that are still trying to rebuild after the disastrous earthquakes that rocked the region in September. I have a feeling we’ll be seeing a lot more from Betts and Sombra. I have this vision of the palenque eventually becoming a kind of incubator or, to keep a tech analogy going, a Y combinator for the mezcal industry, where ideas and innovations can be developed and funded. As an environmental engineer I too have thought much about mezcal and sustainability. There are at least 2 components to sustainability – one associated with habitat and another associated with bi-products. I examined the bi-produced by extrapolating the production process into a carbon footprint. The effort sought to look at the carbon footprint of the product cycle of mezcal from field to table. 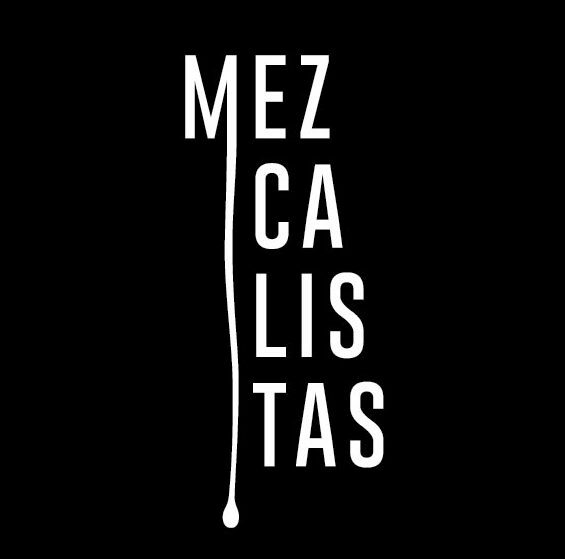 The aspiration was one of the labels on mezcal, and conversation points with the bartender would be the comparative carbon footprints of mezcals. The effort has evolved into a primitive worksheet where attributes of production and transportation are entered, and a pounds of carbon per bottle forecast. Then we would invite the marketplace to embrace an estimate of the footprint. As a parallel effort, we have worked (in this case City of Palo Alto where I lead the sister city program) to purchase carbon offsets from Oaxaca. Last year we did about a $140,000 purchase when created 50 jobs near San Juan Lachao. A few lessons applicable to this emerged. Sustainability means jobs – more sustainable mezcal will be more expensive, but we begin to tell a story how we are enabling Mexico’s economy through sustainability to counter the narrative at the federal level. The offset market has a strong verification component, and that verification could be introduced into determinations of the carbon footprint of mezcal, and then the label has integrity. I do not think the CRM would embrace this, but I do believe that market leaders in the mezcal space should begin testing the approach. 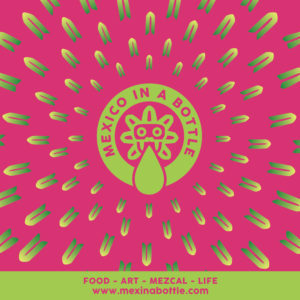 The distributers should test how sustainability and supportive engagement with Mexico plays into the merchandising. I ran it by a few, and noticed that for some it was not important. However, these days it seems like a time to make some bold moves with what business can do. Thanks for your read. A bit much.